Story: Since Dom (Vin Diesel) and Brian's (Paul Walker) Rio heist toppled a kingpin's empire and left their crew with $100 million, our heroes have scattered across the globe. But their inability to return home and living forever on the lam have left their lives incomplete. 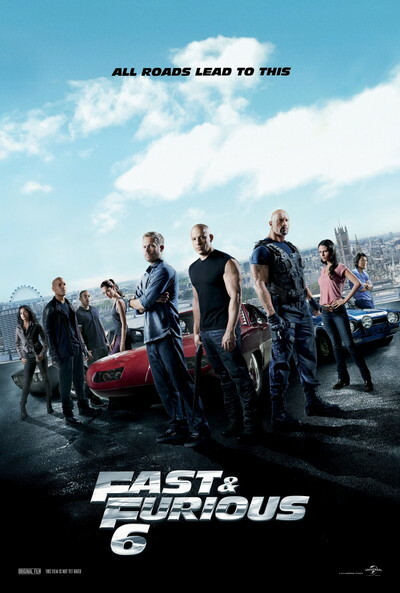 Meanwhile, Hobbs (Dwayne Johnson) has been tracking an organisation of lethally skilled mercenary drivers across 12 countries, whose mastermind (Luke Evans) is aided by a ruthless second-in-command revealed to be the love Dom thought was dead, Letty (Michelle Rodriguez). The only way to stop the criminal outfit is to outmatch them at street level, so Hobbs asks Dom to assemble his elite team in London. Payment? Full pardons for all of them so they can return home and make their families whole again.